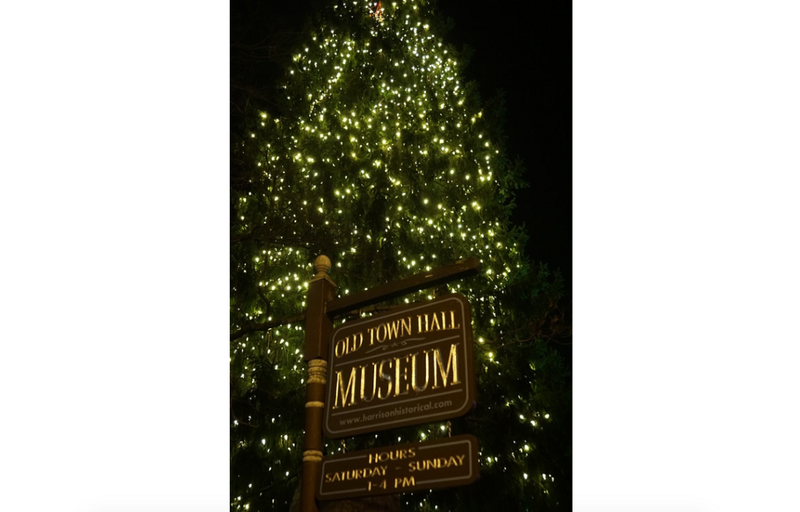 The Harrison Township Committee unanimously voted to reverse the decision to cut the tree located in front of Old Town Hall Museum, used annually for Lights on Main. We all look forward to the annual Lights on Main event each Thanksgiving Saturday and the obvious focal point is the tree itself. Therefore, I know you’ll be interested in recent decisions concerning the tree and the history of those decisions. This all dates back to 2011, when we were planning to move forward with our street-scaping project on Main Street, which included the new sidewalks, brick crosswalks and beautiful street lamps and banners that now exist. We were also formulating plans to transform the tree lighting event into something larger. At that point, the annual event consisted of a small gathering of families on the steps of Old Town Hall where we read a Christmas story, sang some carols and lit a 10–12 foot cut Christmas tree that was anchored to the corner of the building. The town had stopped putting lights on the large tree years earlier because of the prohibitive cost to do so. Many also felt the tree obstructed the view of the beautiful building that is a cornerstone of the town’s history, so there were discussions to cut the tree down. A Save the Tree effort emerged that culminated in private donations (approximately $15,000) to purchase the new lights and star so we could light the live tree once again. We moved the date of the event to Thanksgiving weekend, closed down Main Street and filled the street with vendors and carriage rides. The rest is history…the best event in Gloucester County. The only issue since then has been the cost associated with removing the lights each year ($4,000-$5,000), based on the equipment needed. So, as you have seen, we just left the lights up year-round, but this caused them to deteriorate quickly. Two years ago, we appropriated $20,000 to renovate the site by removing the large tree and replacing it with a 25–30-foot live tree which would be easier to maintain and light each year. We discussed moving forward with that project and found a new live tree would require moving the WWI monument on the site, which was not an option. The concept of a 30-foot artificial tree was introduced since the annual cost and maintenance would be eliminated. I know…an artificial tree? Sacrilege! But we needed to make a decision and it would have been the most cost effective one. Let me put your mind at ease. In the end, with a lot of input, the committee unanimously decided to spend the allocated money on taking down the old lights, purchasing new lights and taking them down after the Christmas season this year. The tree is safe! Again. We will discuss the annual cost to add and remove the lights, with a private fundraising campaign being considered since several entities have already stepped up pledging annual support. That’s what I love about Mullica Hill: the community pulls together when necessary, and the lesson here is that nothing is over, ’til it’s over.